Brands come alive for people when they encapsulate ideas that consumers want to have in their lives. That’s partly what makes brands distinctive and desirable. So what do you do when your core idea is no longer as attractive as it used to be? The scary reality for brand teams is that every brand idea has an end date. At some point, the idea you pivot your brand around right now is going to run out of relevance – and in the iterative economy, where consumers are hooked on new versions and upgrades, the timeframes within which you must initiate, agree and implement bold developments are continuing to condense. Recent rumors that Twitter is considering changing its format are a reminder of what happens when an idea that the world loves hits crunch-time on profitability. Twitter needs to find ways to make money. Now its real dilemma is how closely does it stick to its brand idea of “public messaging” in order to do that. Is the “beautiful constraint” of 140 characters such a powerful tenet of Twitter that to lose it is to compromise the brand beyond recognition? 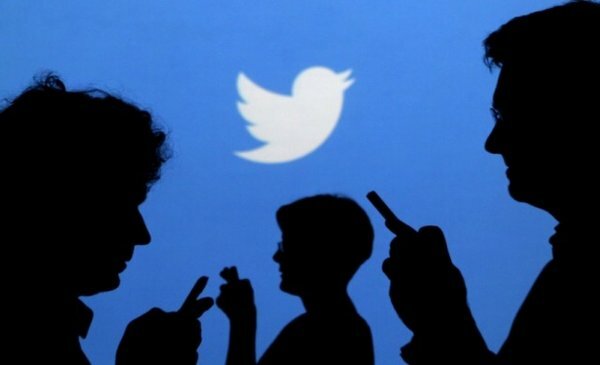 Will changing the format simply transform Twitter into another longer-form content provider? To be honest, I think these are the wrong questions. They’re interesting, but they miss the point because they focus too early on *what* to change in order for Twitter to satisfy investor demands rather than *why* to change and *when*. So, in this particular example, the critical questions for me are “when will people pay the levels of revenue for Twitter that we need them to?” (i.e. under what circumstances?) and “why will they pay for Twitter then?” (what will Twitter be about, beyond say premium services, that they will be prepared to pay for?) And from there – “How is that Twitter different from the one we have now, and what does it retain that people recognize?” The idea for what Twitter needs to become should stem from there. At some stage even hugely successful brands like Apple are going to need to shift their idea. The 6 series was a global smash for them of course and I have no doubt that the 7 will be as well. But at some point the impetus for smartphones will hit a wall. The timing that Apple have perfected over many years is to take what works all the way to the wall (to extract every cent of value from the idea), but not to collide with it. Transitions are critical. The brand that *was* needs to hand over to the brand that *will be* in ways that consumers are excited by, not confused about. So there needs to be time to seed a new idea with the market, to explain why the brand is evolving and how that benefits buyers. Too often, brands don’t think through their future state. Instead, they look to find it somehow by introducing a plethora of new products and features and analyzing which ones stick. The developments with the most success then become the new direction of the brand. And all of this happens from within a mind-set of how they can keep the greatest amount of what they have, rather than keeping the critical amount of what they are. In that sense, brands often confuse the evolution of their core idea with improvements. They think they are innovating when in fact they are amending. So they look for ways to improve what they are at a product level, even as the brand idea itself crumbles away under their feet. The key question that I think Twitter needs to answer as it thinks through its future, for example, is “at what point are we no longer Twitter?”. In other words, how much could they change, beyond even the character limit, rather than how can they keep as much as possible of what they’ve been? And that’s why a brand needs to change from its idea-out rather than from features-in. We all talk about disruption and innovation like they are little more than a cup of tea these days. When the word ‘change’ is mentioned, everyone sagely agrees that it is necessary and of course welcome. But I don’t think the reluctance to jump has moved one iota. I just think companies have got much better at paying it lip-service. And when they do have to change, their ability to evaluate coolly, calmly and profitably what makes them the brand they are, why they should change, the degree to which they need to shift, what needs to change, when, how and to what effect is still questionable. We only need to look to Yahoo to see a brand that I believe has failed to express a future idea that consumers are captivated by. 1. Is there an exciting idea that you can expand into that will give your brand a bigger license to operate? Why will your interpretation of that new idea be distinctive from what others are doing there now or where others may wish to go with a similar idea? 2. What does your new idea open up that you have never seen before? How will the business cope with that, and how quickly? How will consumers adjust to that, and how quickly? 3. What are you trying to preserve? And is that what consumers want for themselves and from you? 4. What’s your timeframe for change – and how did you arrive at that? Is it based on what you feel comfortable with or what the market will demand? 5. If you are making rapid change because your current idea is quickly losing relevance, why were you caught off-guard? Did you not see the warning signs, was everyone in the senior management team playing ostrich or have things moved so fast that you were simply overtaken? And given that, how will you ensure the brand you will be won’t be subject to the same vulnerabilities? Become A Better Marketer. Build A Stronger Brand. Join us for The Un-Conference: 360 Degrees of Brand Strategy for a Changing World in San Diego, California. A fun, competitive-learning experience reserved for 50 marketing oriented leaders and professionals. Excellent article, Mark. I especially agree that a key question to ask is “What are you trying to preserve?” Today the marketplace is so innovation-focused that a brand can easily innovate itself out of existence. Innovative change is obviously the only constant in business today. But holding on to what works, while evolving what can be improved is essential. Agree Keith. And that takes high awareness – of market strengths, of consumer wants and of inherent brand character. Thanks for the feedback.